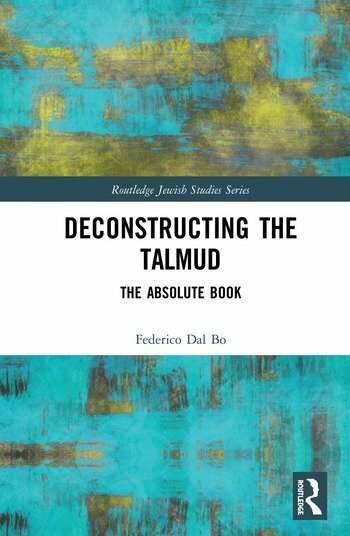 This monograph uses deconstruction—a philosophical movement originated by Jacques Derrida—to read the most authoritative book in Judaism: the Talmud. Examining deconstruction in comparison with Kant’s and Hegel’s philosophies, the volume argues that the movement opens an innovative debate on Jewish Law. First, the monograph interprets deconstruction within the major streams of continental philosophy, then, it criticizes many aspects of Foucault’s and Agamben’s philosophy, rejecting their notion of law. On these premises, the research delivers a close examination of many fundamental aspects of the Talmud. Consequently, it provides a short history of Rabbinic literature, an history of the dissemination of the Talmud from Babylon to Northern France, and an analysis of Talmudic vocabulary from a deconstructive perspective. Each key concept of the Talmud is analysed according to the deconstructive dialectics between orality and writing. Closing with a comparison between the Talmud and Derrida’s most enigmatic text, Glas, the study argues that deconstruction dismantles the traditional notion of the Talmud to outline a new approach to Jewish Law. Reading the Talmud through deconstruction, this new angle makes the volume an essential resource for students and scholars interested in Jewish studies, continental philosophy and the Middle East. Federico Dal Bo holds a PhD in Translation Studies and a PhD in Jewish Studies. He is the recipient of the Marie Curie fellowship. His most recent publication is Emanation and Philosophy of Language. An Introduction to Joseph ben Abraham Giqatilla (2019).